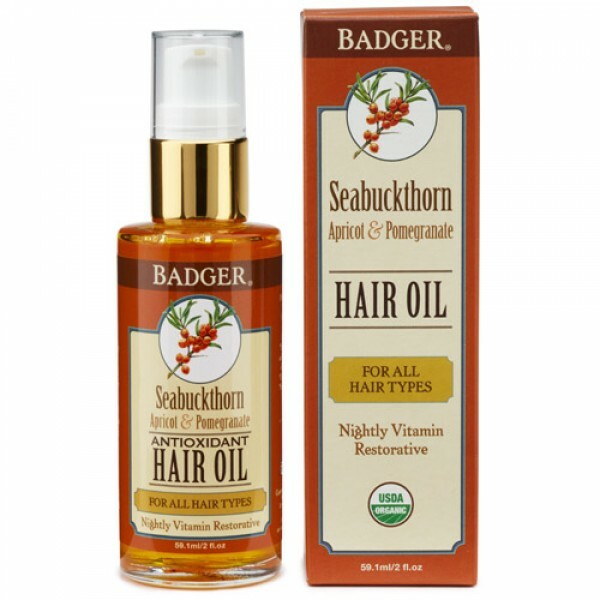 Badger Seabuckthorn Hair Oil for All Hair Types is made purely from organic plant oils and is certified organic by USDA. 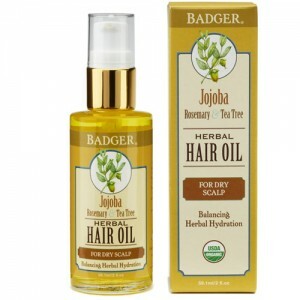 Daily life takes a toll on the hair: sun, wind, earth, water, pollutants, and styling can impact hair health. 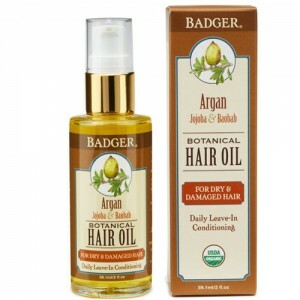 Badger’s hair oil will help restore the balance. Treat your hair to vitamin and antioxidant-rich oils and extracts, and watch the shine and lustre return to overworked hair. 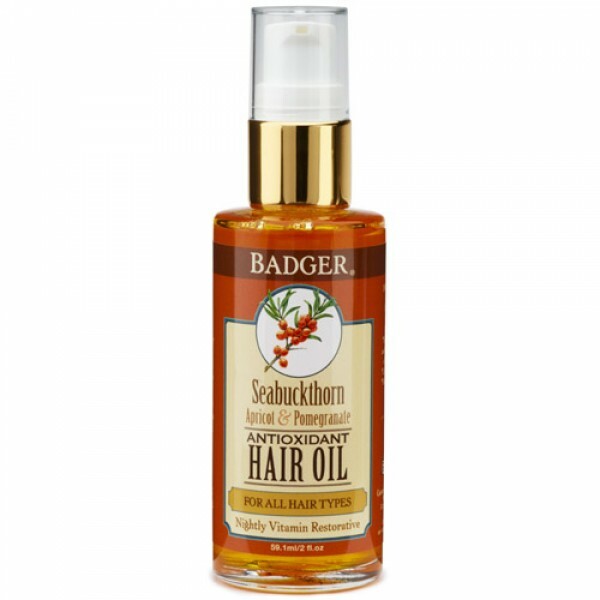 Badger have selected the most powerful oils to deliver naturally occurring vitamins A, B, C, E, and K to nourish and replenish hair. 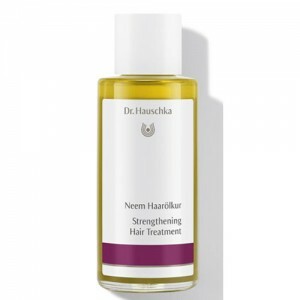 Seabuckthorn and Pomegranate promote hair strength and elasticity. Apricot is a potent emollient, imparting moisture and shine. 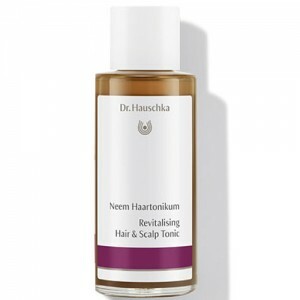 Rosehip possesses regenerative properties, helping hair to return to its healthiest state.